In 2011, Google published research that brought a new term – “Zero Moment of Truth” – to the world’s attention. It derived from a study that found how, on average, consumers need 10.4 interactions from various sources to develop their buying knowledge before they make a purchasing decision. Additional research, looking at B2B sales, has found that the number of interactions – or touches between seller and buyer – needed to secure a sale is somewhere between 7 and 13. In essence, it is 10.4 interactions all over again. Whatever the exact number required for any sale (and this will vary by customer, sector, the level of competition, and more) salespeople in a multi-touch selling environment generate sales by creating compelling and credible journeys of discovery for the decision makers in any purchasing organisation. This book shows you exactly how to do that. 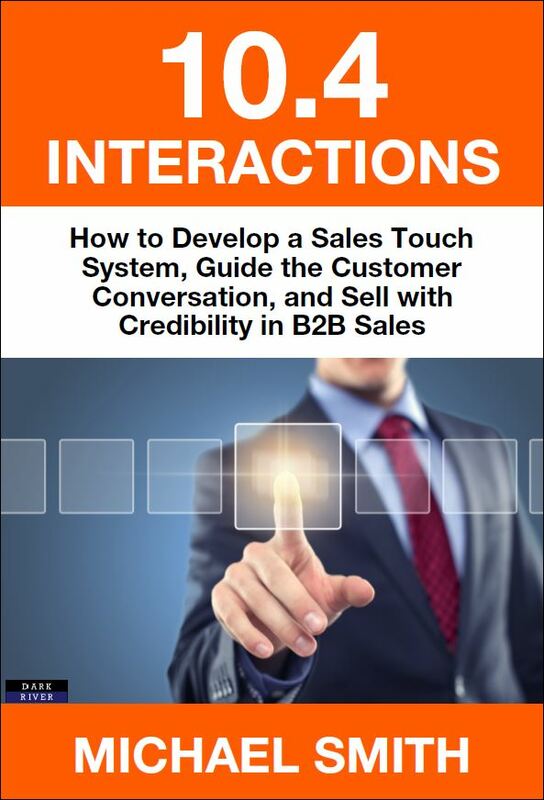 In “10.4 Interactions”, sales expert Michael Smith breaks down the steps required for creating a sales touch system that generates multiple interactions with your potential customers. Irrespective of experience, you will be able to identify and target the people who authorise purchases, deliver compelling messages, learn how to create personal value and significance, and develop thought-provoking and change-enabling discussions. 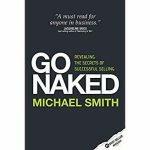 By following the book’s focused and specific methodology, you will stand out, create more opportunities, and make the sales that deliver real business success. 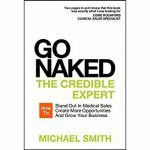 Note: This is the sister book to Go Naked: The Credible Expert: How to Stand Out In Medical Sales, Create More Opportunities, And Grow Your Business. Content elements across both titles are related and readers are, therefore, advised not to purchase 10.4 Interactions if they already own The Credible Expert. Michael Smith is also the author of these two acclaimed titles. What is a Sales Touch System? A Sales Touch System refers to a sales process that entails live meetings, email, phone calls, and other modes of interaction (or touches), between a salesperson and a customer before the latter commits to purchasing a product. The maxim is that connection rates rise as time advances. Although most salespersons prefer calling customers early in the morning or early in the week, this is not convenient to the prospects. This is the time that most of them are planning and prioritizing their tasks. It is thus prudent to call when the day or week is winding down, say starting 3 p.m., and on Thursdays or Fridays. But, clearly, it is for the salesperson to gauge the right time to make contact. There is no point in delaying an interaction to adhere dogmatically to ‘a plan’ if it jeopardises the relationship and sale due to competition, deadlines, or other factos. The prospecting messages should be a mix based on what works best in your industry. However, most salespeople say that phones generates better results than email. You can thus split your messages in the order of three calls, then two emails. While maintaining this balance, pay particular attention to customer preferences. Note how the time of the day, the type of message, as well as the number of touchpoints affects the success of your business, and streamline actions accordingly. Book Categories: Business and Self-Help.